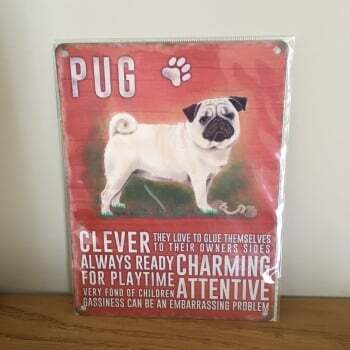 This fun metal wall sign from Ruddick Garden Gifts has a pug design and saying. There are 4 pre-drilled holes for easy mounting and the sign comes already packaged. This metal wall sign would make a fantastic gift for anyone who loves this breed of dog.